The authorship of this Monument to Giovan Francesco di Sangro is even now uncertain. 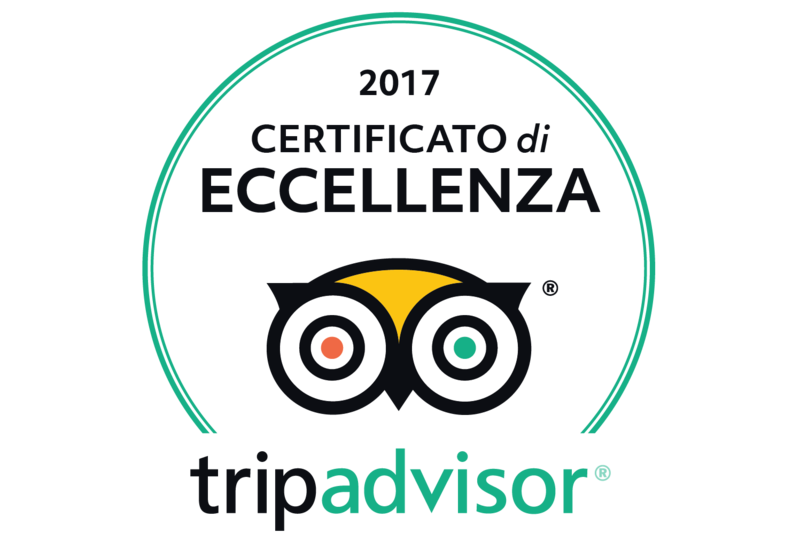 Marina Causa Picone attributes it to Celebrano. 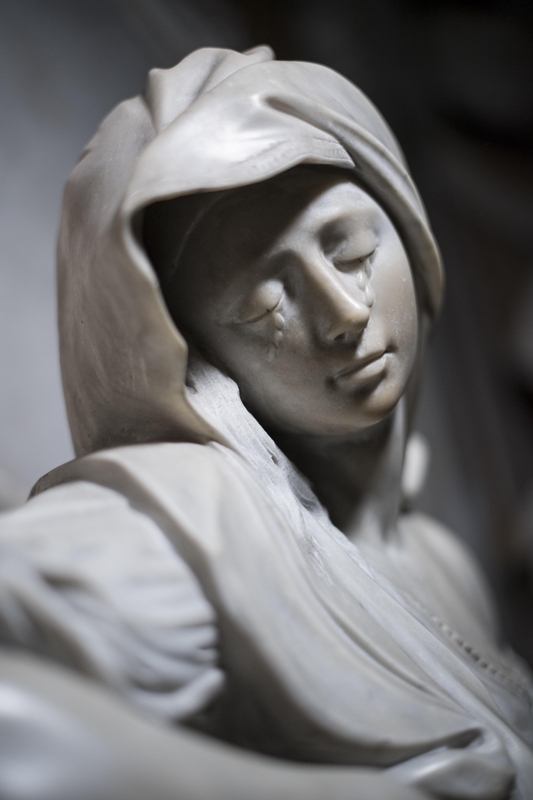 Rosanna Cioffi and Oderisio de Sangro agree in attributing it to Corradini, identifying the work in question with Corradini’s Sorrow, discussed by the historian Giangiuseppe Origlia in 1754. The third Prince of Sansevero died at forty during an expedition to Africa in 1627. 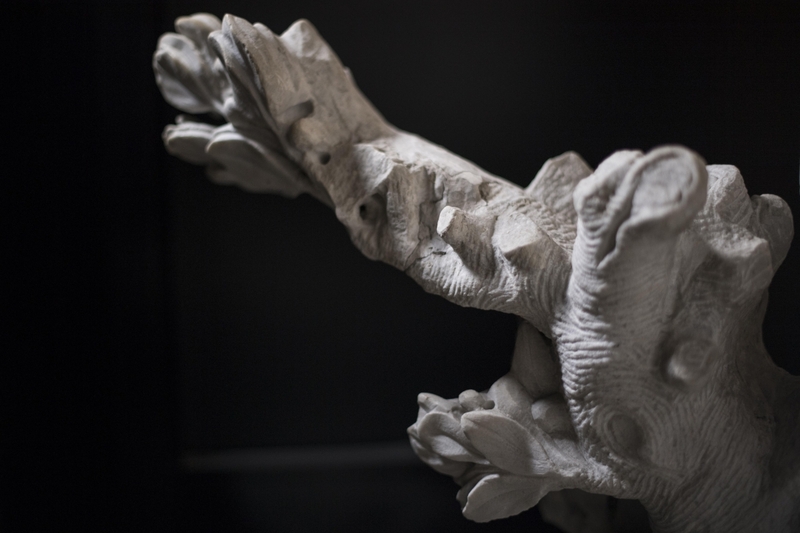 As well as the usual motif of the winged angel, we have the less traditional one of the shell that, as a holy water fountain, would seem so placed as to gather the tears of the weeping angel. The work has vertical movement, and the arboreal ornamentation recalls the bas-relief of the High Altar. 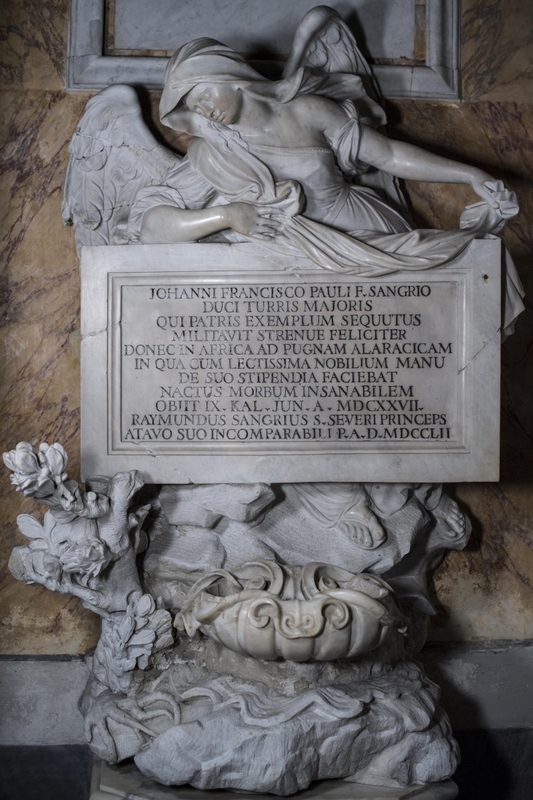 On the plaque, Raimondo di Sangro commemorates his ancestor’s military career, cut short by an incurable disease. 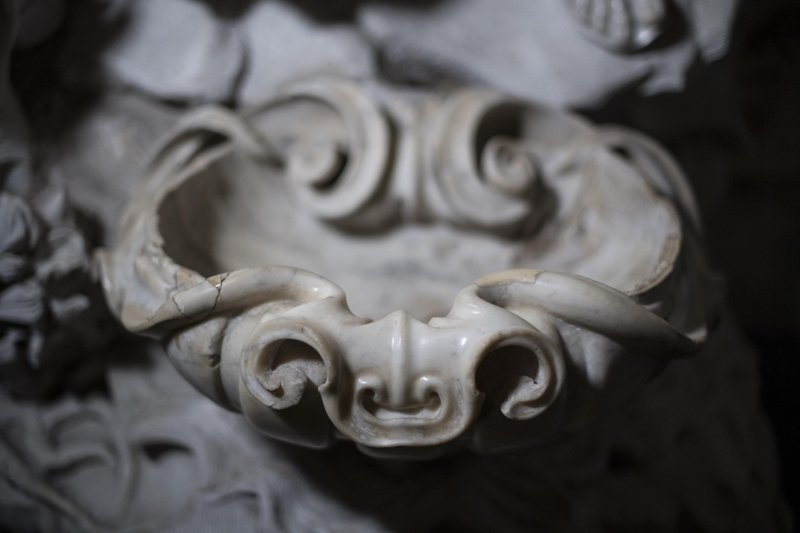 A curious detail: Giovan Francesco died excommunicated, so his remains were exhumed and moved twice, the first time from the parish church of Castelnuovo and the second time from the Sansevero Chapel, on the instructions of the bishop of Naples, Monsignor Boncompagni.